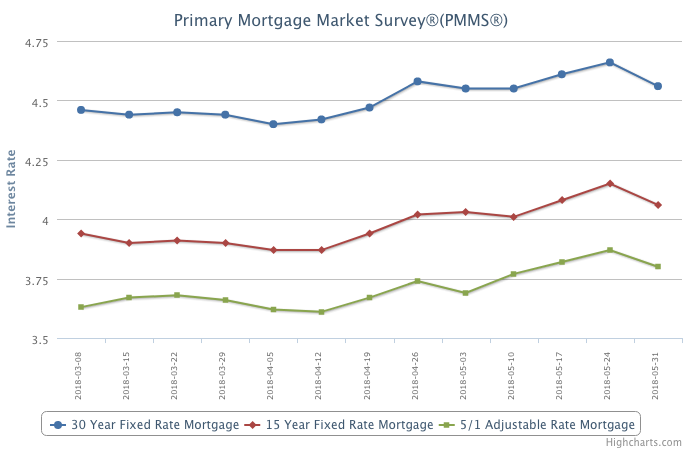 After climbing to their highest level in over seven years, mortgage rates fell over the past week. The 30-year fixed-rate mortgage fell 10 basis points to 4.56 percent. The decline was driven by recent trade and geopolitical issues, which led to a sudden decrease in long-term Treasury yields.